It is the one thing that can boost your outfit in less than five minutes! Pocket squares, like the tie, breaks up the monotony caused by draping one’s chest entirely in one fabric. White pocket squares match all suit and shirt combinations. Pocket squares can never be too ‘loud’ in color. A grey suit, with a white dress shirt and a bright red or orange colored pocket square is money. Bold colors match muted colors. A pocket square will make or break your suit. 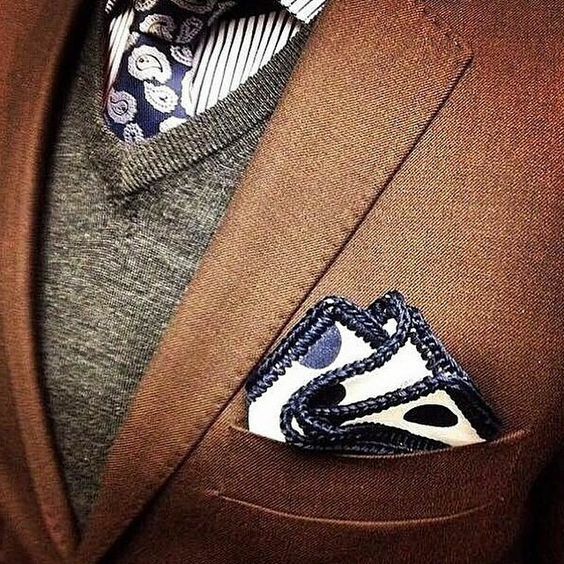 Put as much detail into the purchase of your pocket squares as you do the rest of your outfit . A pocket square is indicative of your personality. A pocket square should compliment your shirt and suit, but does not have to match exactly. When wearing a tie, NEVER wear a pocket square with the same color and pattern. You know those Shirt/Tie/Pocket Square combo packs you’ve seen at the department store? Run away as fast as you can. If you wear the same color, it attracts a lot of eyes and no one will look at your face then. 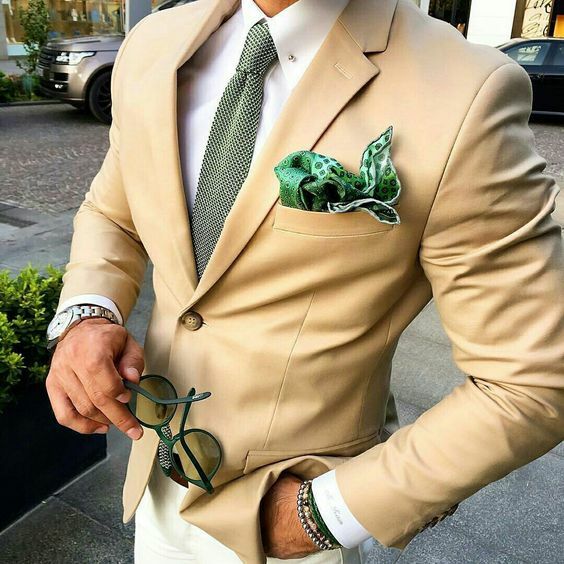 Your pocket square should always be in CONTRAST with your suit. Never pair a black suit coat with a black pocket square. It’ll blend in and won’t even be noticeable. You can match your pocket squares with your socks. It’s a different style, considering that the women look at you from up to down. An eye automatically looks to see what matches on an outfit, it’s almost subconscious. Also read- Socks to give a look once. . . The younger you are, the less of your pocket square should show. If you’re in your twenties, you haven’t yet earned the right to be cavalier. Conversely, the older you, the freer you can be with showing silk. Once you’re past sixty, the pocket square can practically erupt from its home. This adds character. So go change the way people think of you. Have that little thing in your pocket and you’ll be tagged as a gentleman. Goodluck!